Baby Boomers:This group, defined as age 55 and older, actually has money to spend—controlling 70% of disposable income in the United States. Boomers are utilizing mobile technology and Twitter, Facebook and Google Plus are growing among older demographics. 38-42 percent of Boomers use social networking, and one in five use social media sites as a source of health-care information. According to a study by eMarketer, 49 percent of Boomer/Senior tablet users and 40 percent of smartphone users made at least one purchase within the last year after gathering information on their mobile device. This group is a purchasing powerhouse with purse strings! Lesbian, Gay, Bisexual and Transgendered (LGBT): Business Insider estimates put the buying power of the LGBT community at over $800 billion annually. Most sources indicate LGBT consumers have more disposable income when compared to the average American household. According to a survey done by Prudential in 2012, gay consumers were more likely to have higher educations, carry less debt, have more savings and were less likely to be jobless with an unemployment rate of almost a point below the national percentage. Marketers should be sure that marketing plans accommodate and are inclusive of this valuable target. Aspirationals: More than one-third of consumers globally identify as trendsetting consumers who are seeking sustainability consumption. This is the largest consumer segment, with clear dominance in the two largest developing markets – India (42 percent) and China (53 percent). Aspirationals want to purchase with a purpose, so they are a particularly important segment for companies who are making sustainability and “doing good” part of mainstream culture. 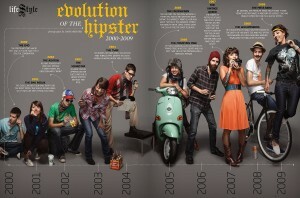 Hipsters, Millennials, Gen Y (oh my! ): This generation is different from those of the past and to be relevant to this group, Marketers need to understand their mindset. They value and recognize authenticity and pay for products that feel person to them, which is why character-driven campaigns have had the most success in reaching this group. 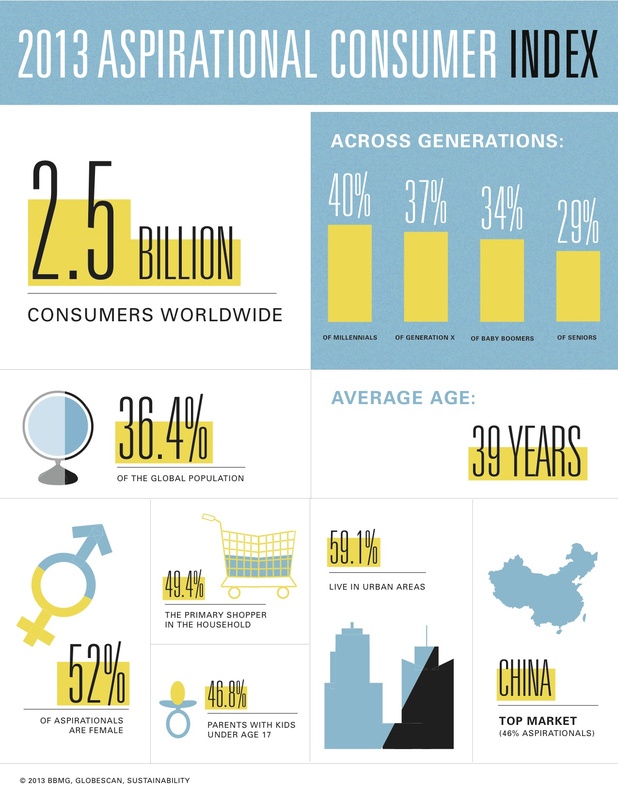 With a population estimated at roughly 72 million, Generation Y is soon-to-be the largest generation ever. According to marketing research firm Kelton Research, Gen Y’s spending power is almost $200 billion a year – not something to bat an eye at. The most successful multicultural campaigns involve delving into the wants and needs of ethnic consumers. This is why it’s essential for marketers to incorporate multiethnic thinking into the core strategy of brand efforts rather than as an afterthought. By exploring new platforms and looking at campaign-related efforts through a multicultural lens, brands have the ability to move away from “translating” general market messages and make a shift toward building outreach efforts that empower specific sub-groups to become brand advocates – bringing products into their own social conversations. According to an article in Forbes, multicultural audiences have taken the lead in social media usage and mobile technology adoption. Across the board, word of mouth is also the most trusted source of product recommendations, so it’s important that brands build culturally relevant campaigns in order to engage consumers in positive brand experiences and thus building trust. Smart brands are looking beyond the stereotypes – based on the notion that “advertising is a mirror,” implanting cultural relevance and values into marketing campaigns helps consumers to identify with and feel affinity for companies and brands. Simply put, brands cannot reach everyone with one message or campaign or product. It’s a thing of the past. Each culturally subgroup needs tailored messages in order to effectively connect and fully embrace a brand. It’s imperative for brands to put thought into who they specifically want to reach, submerse themselves in the corresponding culture, ideals and thinking, and then build a campaign from the ground up. When it comes to communications outreach for any organization, emerging media matters. Where once social media networks were only used by niche communities and individuals; today, emerging media, social networks and consumer engagement is far too big to ignore. Social media has changed the fabric of daily life – influencing personal interactions, product purchases, and even the world at large. Over the course of history, different forms of “new” or “emerging” media technologies helped to cause or create social changes – from the electrical telegraph (which no longer linked communication to the physical transportation of messages) to television (which entertained with sound and moving pictures at homes and paved the way for commercial-driven programming). Today, social media channels can act as a public forum for consumers to discuss important issues, review products, companies or services, express opinions or share stories and feedback. Where once brands had the ability to deliver one-way messages through advertising, it’s now nearly impossible for companies to ignore the flow of two-way dialogue with consumers. In 2009, Erik Qualman introduced Socialnomics – a book discussing the implications of social media not only on daily life, but also about how businesses could harness social media to increase sales, cut marketing costs, and reach consumers directly. His short video, detailing the expanse of social media, exploded online and in some ways helped to solidify the foothold that social media was having on society through a series of shocking statistics. Now, #Socialnomics 2014 is the fifth version of that most watched video series on Social Media. 53% of Millenials would rather lose their sense of small than their technology. More people own a mobile device than a toothbrush. “Selfie” is now a word in Webster. Grandparents are the fastest growing demographic on Twitter. 53% of people on twitter recommended products in their tweets. According to Qualman, “We don’t have a choice on whether we do social media, the choice is how well we do it.” He sure is right! Within just the past few years, there has been an obvious shift away from the 4 P’s of Marketing (Price, Product, Promotion, and Place) and toward the 4 C’s (Creating, Curating, Connecting, Culture) of digital. Brands are now using different mediums to build and connect with consumers using engaging content. Media has evolved, again! And, as it was with the telegraph and television, this “new” medium is a platform for innovation, connectivity and strengthened collaboration. This shift in technology gives Marketers the opportunity to create relevant interactions with consumers, rather than bombarding them with traditional one-way messages. However, according to a 2011 study done by Ogilvy & Mather on the impact of exposure to social media on sales and brand perception, traditional media is not completely dead and gone. While it’s true that social media is a top driver of impact, when combined with one or more other channels, integrated programs are aligned with significant increases in spending and product consumption. Consumers are now influencers who have the ability to greatly extend brand reach by sharing social content through their own networks. Knowing this, marketers need to create content that no only gives information, but is also usable and relevant for each individual consumer. SoLoMo, or the interaction of social, local and mobile marketing efforts, will play a large role in the year ahead. By capitalizing on the rise and increased use of smartphones, brands will be able to offer even more personalized and localized content experiences that will help to fuel consumer engagement and loyalty. Perhaps a new definition for emerging media, could be called: Social Content. Social Content is what engages consumers through a holistic lens – combining traditional, social and research to build content that is relevant and takes an omnichannel mindest to marketing, integrating consumers in the conversation and using them as a channel to greatly extend brand reach and loyalty.